I have been a bad blogger in January. 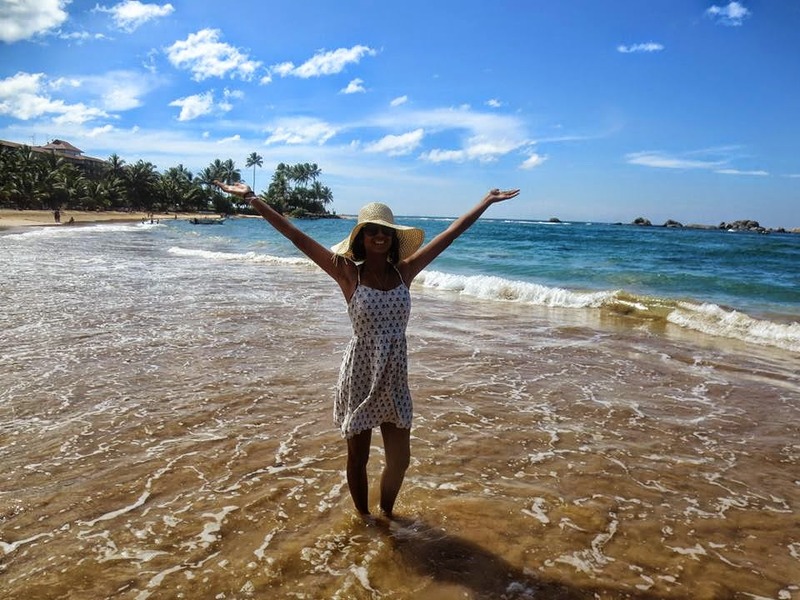 Instead of posting I was too busy celebrating turning the big 2-5 (Don't know if everyone thinks its a big birthday but I am trying to make it the new 21st) and jetting over for a quick vacay in Sri Lanka. But these activities have inspired some of my future February posts, including this one! 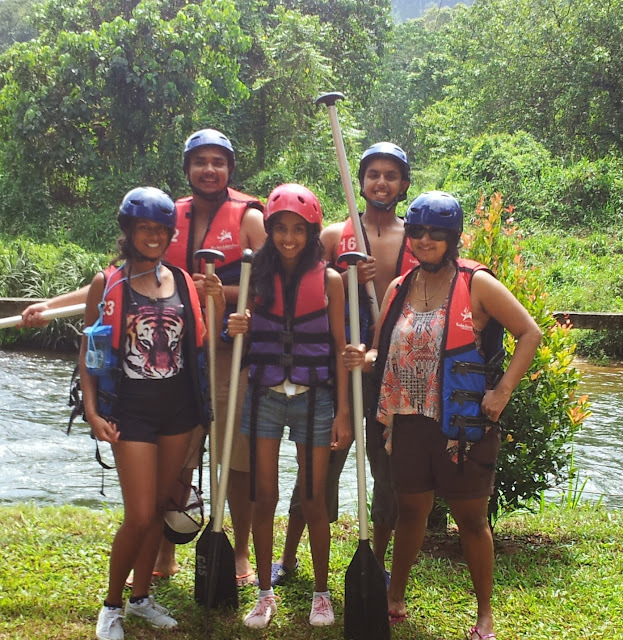 One of the highlights of my trip this year was definitely white water rafting down the Kelani River in Kitulgala. Because most of my family live in Sri Lanka, we have been making trips there since I was in diapers. Having been there so frequently, I was surprised to read about a town called Kitulgala, which was touted as the adventure capital of Sri Lanka. The surprise quickly turned into determination, determination to ensure I payed Kitulgala a visit. Although there are a range of activities offered in this town, including abseiling and trekking, the one I read most about was white water rafting. Since I have never been white water rafting, and because it looked a lot cheaper to do in Sri Lanka than Australia, this was the activity I was most keen on. A quick Google search a few days before the trip led me to Ceylon Adventure/ Kitulgala Adventures, who offered a white water rafting package that looked pretty good; a welcome drink, 5km guided rafting, a buffet lunch and evening tea. It costs 3000 rupees (a little under $30 AUD) for foreigners and 1850 for locals. We made it a day trip from Colombo, but they also offer accommodation and overnight packages. Google maps indicated that the trip from Colombo to Kitulgala would take about 1.5 hours but in reality it was closer to 3, that's Sri Lankan traffic for you. Upon arrival they presented us with our fresh fruit drink and then showed us to our private base camp which consisted of two large tents sitting on a large balcony area that overlooked the tops of the forrest. Very glamping. This area was given to us as a changing and rest area. After changing we made our way to the rafting start point, a journey which included a quick ride in a Tuk and a short trek down the lush forrest to the river. From there we boarded onto our raft and began our adventure. It was a lot of fun and it was a Grade 3 so wasn't very strenuous and good for beginners. There were a lot of spots where we could "relax" (one of the terms we had to learn in our 2 minute pre training), not row and just enjoy the beautiful view and take pictures. We even had a chance to jump out of the raft and go for a little swim. Everyone thoroughly enjoyed it and we were all super keen to plan our next rafting adventure. Although, next time I am eager to go for a longer raft as we all felt 5km was a bit short (they also offer 8km and 10km). Once we finished our rafting, we were treated to a buffet lunch which was a very classic, traditional Sri Lankan meal which included chicken curry, mushroom curry and dhall etc. I thought this would be such a great package for tourists because not only do they get to explore natural Sri Lanka on a raft but they also get to try traditional home style cooking. After lunch we were welcome to relax as long as we wanted in our base camp. Not being much of a rester I decided to instead take a swim in the river and trek around. All in all, I would totally recommend doing white water rafting in Kitulgala. 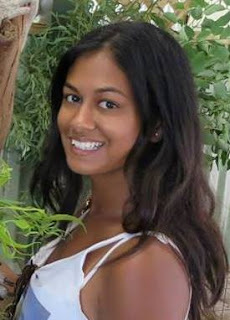 It was a great way to spend some time in Sri Lanka's natural wonders and was a really good bargain. And Ceylon Adventure is definitely not the only white water rafting provider, the river is lined with providers so could even be a sponatous adventure where you pick someone one the day you decide to do it! I've been white water rafting once before in Austria.. it was the middle of the winter and I very nearly froze to death but it was SO worth it!!!! White water rafting in winter must be even more intense! The water would be soo cold! At least when we went the water was always a refreshing hit. And I'm jealous! Hope you have an amazing holiday! Looks like a great experience, in beautiful surroundings!